Both chic and classic, carpet and tile flooring make a statement. Moreover, tile is not just for the kitchen or bathroom. As the premier business for tile cleaning in Baltimore, Maryland Carpet offers workmanship that will captivate any room in your residential, industrial, or commercial property. You can even put tile in your bedroom, arousing the feeling of being in a Greek villa. When the time comes to clean it, along with the grout, we have got you covered. Whether it is vinyl tile or ceramic tile, there are many services we provide so that your tile is always looking its best. Our tile & grout cleaning service will update your residential or commercial space, making it stand out. We want to turn your tile floor cleaning requests dreams into reality. Tile floors look marvelous, and they never go out of style. Maryland Carpets is the most-reliable company in the Baltimore, MD area for tile cleaning! With the sophisticated manufacturing process being used today, carpet flooring has become easy to maintain, much more affordable, and will complement any interior design. If you have never considered carpet before, you will be amazed at the colors, textures, patterns, sizes, and shapes that are now available. Many home and business owners pick carpet for its style and beauty. Our promise to you is to always treat you with respect, fairness, and honesty. We professionally serve our customers, present a strong work ethic, and strive towards excellence. 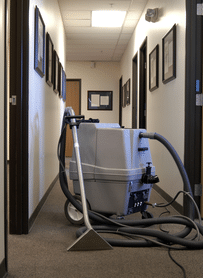 When you are considering hiring a professional to clean your carpet, tile, and upholstery, stop by and check out our Maryland carpet cleaning contractors. You can rest easy with our high-quality cleaning expertise. We have a significant number of satisfied customers, and most of our business comes from referrals. We work tirelessly to keep our company in good standing by giving our customers the level of service they expect and deserve. If you are looking for a Baltimore floor cleaning contractor who delivers superior workmanship, reach out to Maryland Carpets! Whether your flooring is new, or you want to revitalize your old carpet and flooring, you can’t go wrong with our first-rate assistance. Professional carpet and floor cleaning saves you the time from looking for and having to purchase new flooring and carpet. You can trust our technicians to get the job done to your satisfaction. If you want to enhance your home or office with freshly cleaned tile flooring and carpet, use Maryland Carpets.